Let me first apologize for my lack of cake slices last Tuesday. I was on vacation and was too busy eating treats to write about them. Whoops! This week I bring you a walkthrough of the best baking show I have ever seen on television. 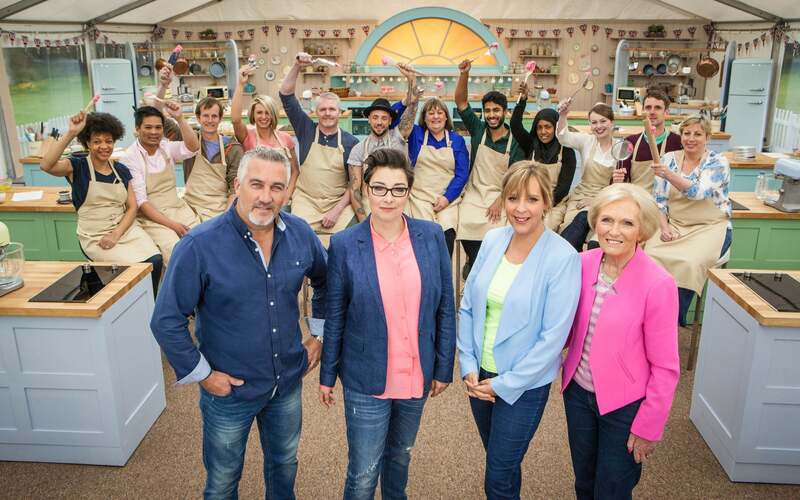 The Great British Bake Off takes twelve contestants and has them compete against one another to see who is star baker. Sounds pretty simple but there are things that make this show so extra special that you can’t miss it. For starters, the whole thing takes place in a tent. An outdoor baking tent, in the middle of a field. Sometimes it is raining and cloudy! Sometimes we see sheep grazing! There’s actually a lot of B-roll of sheep, it’s really pleasant. How do they get running water? How do they power 12 ovens? We may never know. The hosts are Mel and Sue, a lovely comedy duo who also host a show called “Light Lunch” and, surprisingly, “Mel and Sue”. They really enjoy puns but in a way more charming way than most American hosts go about them. And Sue is a confirmed lesbian, which I totally called, so there. Yes we do know all the secrets but we’re not telling no matter how many cakes you give us. The judges are also the best. Judge one is Mary Berry. Yes, that is her real name. 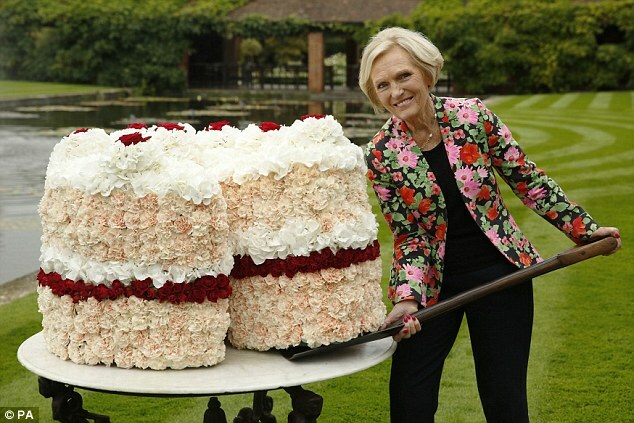 Mary Berry is 80 years old and is nicknamed “Mary Queen of Cakes”. She is a food writer and a TV presenter when she is not concocting really complex recipes for bake off contestants to stress out about. 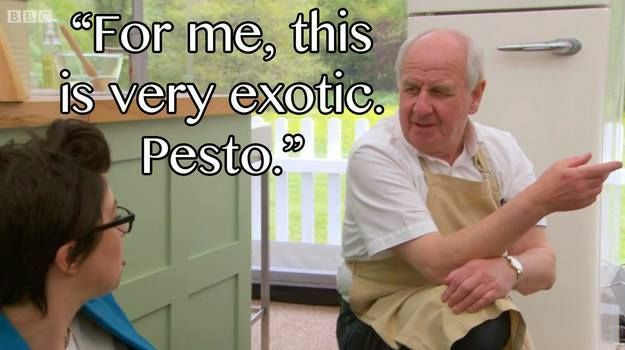 Paul Hollywood (also his real name) is the other judge. He’s really concerned with substance over appearance when it comes to baking, and also soggy bottoms. Your pie better not have a soggy bottom if Paul’s going to eat it. He also apparently started motor racing this year? The competition itself is just darling. They play really calming background music and give the bakers actual time to make things. Instead of thirty minutes on the clock to make some halfway decent brownie these bakers get 3-4 hours to make chou pastries and opera cakes. I didn’t know how to do this technical challenge so I just took my brain out and decorated it, enjoy. The competition also takes place during the weekends, so the contestants don’t actually leave their loved ones and jobs during the week. They still get stressed but the whole thing plays out more like a fun baking club than a competiton. Every week, the judges name a Star Baker. Everyone claps for the Star Baker. At the end of the competition, you get a nice hug and a bouquet of flowers. And that’s it. Well done! Oh yeah, and you get an engraved cake plate, too. You also get to hear great phrases like “well that’s a bit of all right” which actually means that your cake tastes amazing. And you learn about strange ingredients like flangipan, which is still a mystery to me. Soggy bottom line, if you like baking and puns even a little, this is a must see. The past “season” just ended on PBS, which is where it airs in the US, but I found out that this season was from about a year ago. Luckily, I just discovered that it is streaming on Netflix! 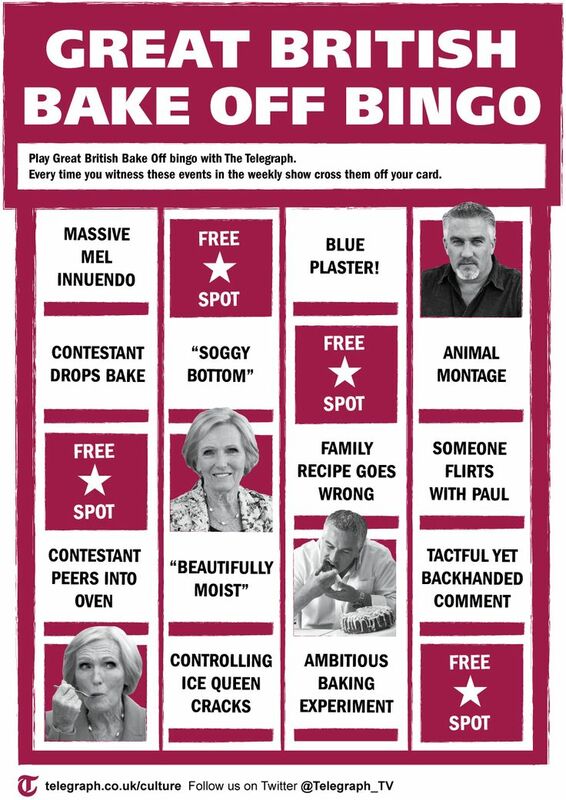 Get watching, ready, set BAKE!